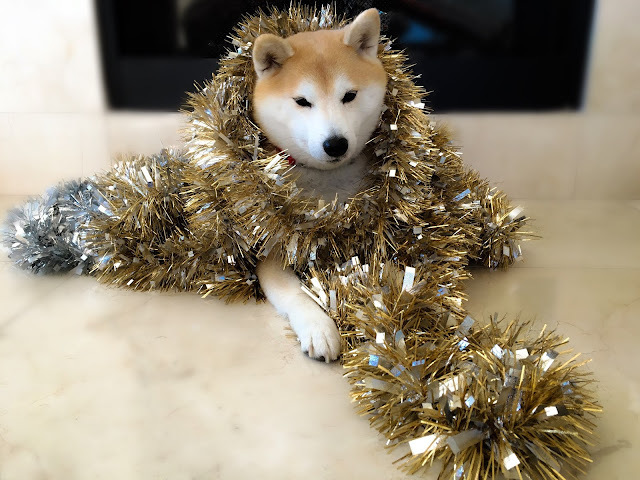 Merry Christmas 2015! As usual, I spent the Christmas holiday dashing through airports so that I could spend time on the east coast with family and friends. This means my official dog tag has now logged 31 flights since joining my pack in November 2009. Wow, much air time! 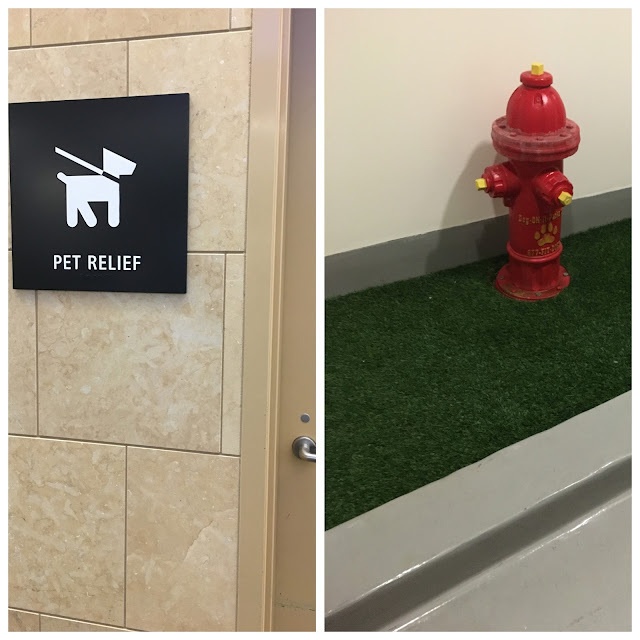 For dogs traveling through the San Diego (Lindbergh Field) Airport, the airport has an indoor pet relief area which makes it really convenient for traveling with your dogs. This is an amazing addition to the air travel for dogs, as air-side pet relief areas are fairly nonexistent. The San Diego facility is located at Terminal 2 West between gates 46 and 47. It is a small, 75 sq ft space that has a fun fire hydrant and fake grass. Dog bags are available inside. I hope wherever you spend your holidays, that they are filled with great adventures! 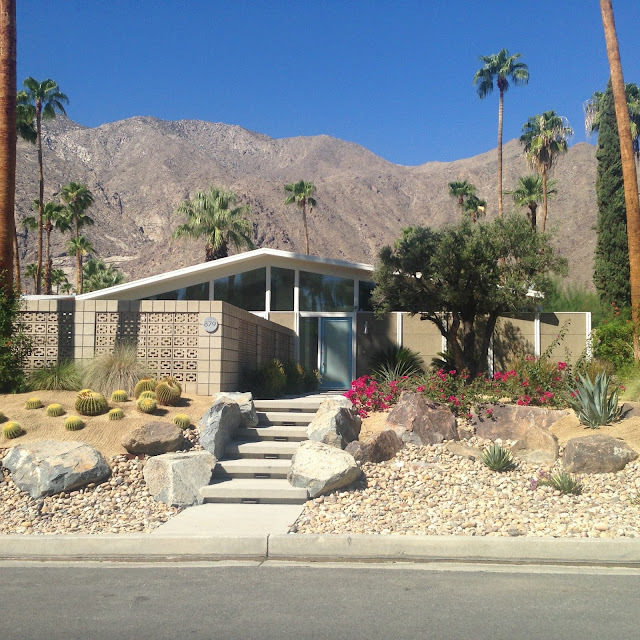 Since Palm Springs, California is just a short drive (about 2 1/2 hours) from San Diego, I vacation in Palm Springs throughout the year for quick getaways. For this trip, we opted to rent a house through VRBO so we would have plenty of room to relax. 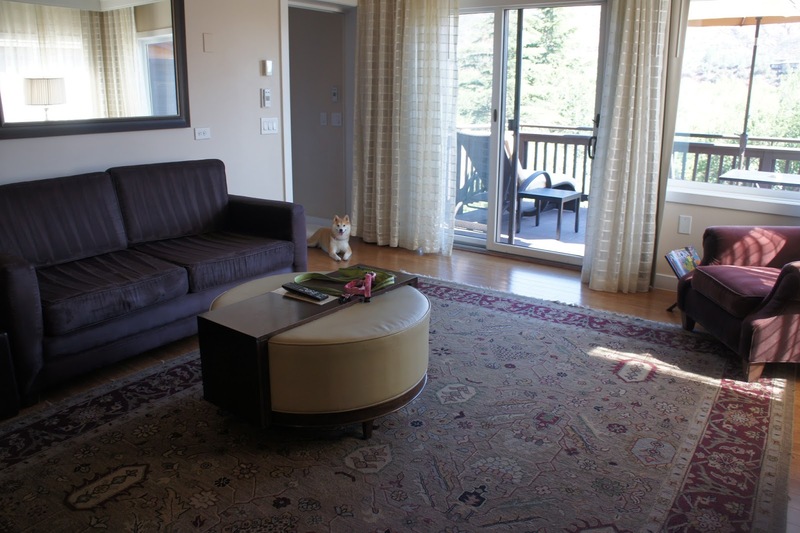 While I usually stay in hotels when we travel, vacation rentals are a great way to get more room and privacy. Many VRBO properties are dog friendly, just check in advance before you make a reservation to confirm the details. - pet fee, size restrictions, etc. 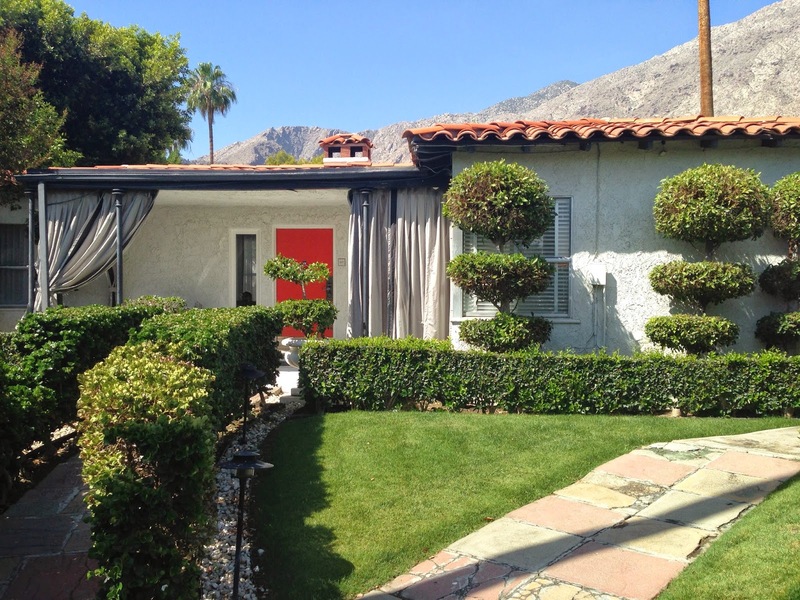 Our 1800 sq ft house (3 bed - 3 bath) was in the lovely Vista Las Palmas neighborhood in downtown Palm Springs. The house had everything we need inside and outside to make for a great getaway. The house had an amazing private yard that was fully enclosed - with many comfy seating areas - making it very safe for me to play and relax during our stay. Misters to keep cool in the desert heat. Thanks for reading! Be sure to follow me on my many adventures in California and around the country -woof! Lodging Review: For spring 2015, I went on two vacations to Big Bear Lake, California and stayed in my own little cabin each time. 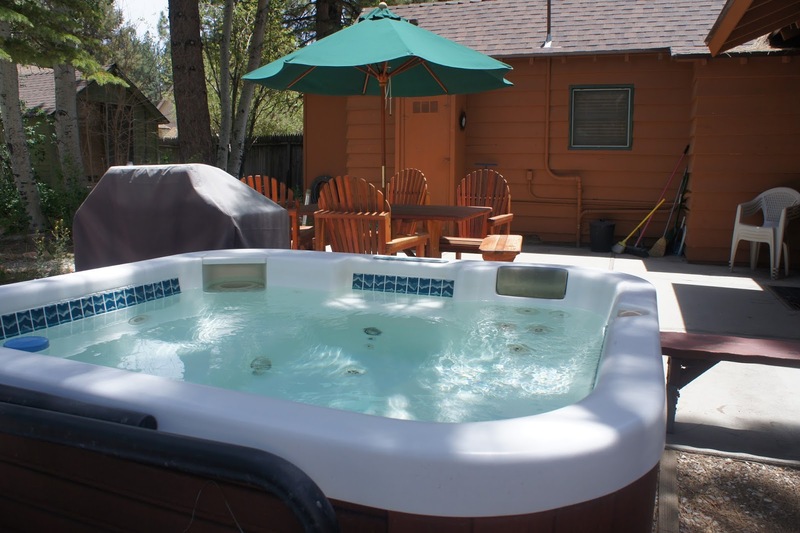 The best way to stay in Big Bear is definitely to get a vacation rental cabin. The cabin we selected was located in the Meadow Park neighborhood and is within walking distance to the lake and restaurants, including the Grizzly Manor Cafe located at 41268 Big Bear Boulevard. While not dog friendly, the Grizzly Manor Cafe is a Big Bear "must" for a truly "big" breakfast. Just make sure your people bring you back some bacon. For casual counter service dining with a dog friendly patio, check out Get the Burger which is located a short drive away on 42151 Big Bear Boulevard. 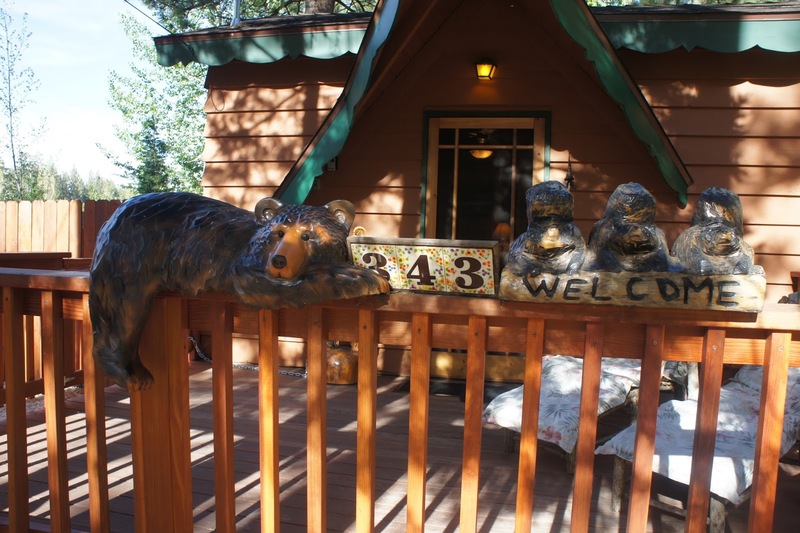 Nestled in the tall trees, our cabin was a 2 bedroom, 1 bath unit furnished with bear and ski motif throughout (one bedroom had a queen size bed and the other furnished with a twin over full size bunk bed). The cabin had a wood burning fireplace and stacked washer/dryer. 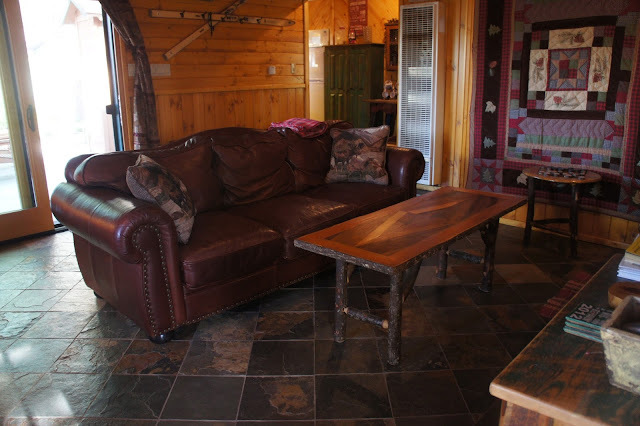 While rustic in style, the cabin had 3 flat screen TVs and wifi access. 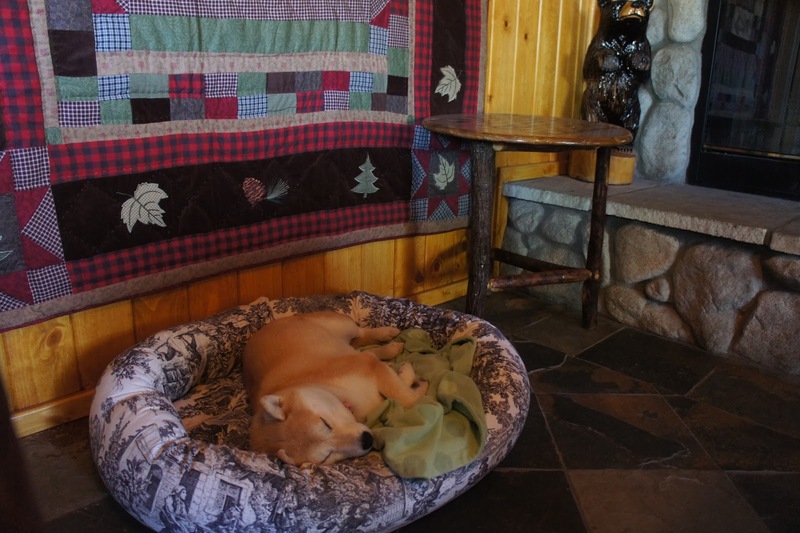 The cabin is dog friendly with owner approval. For this trip, I brought my travel dog bed with me to make sure I was a "good" guest and we made sure everything was clean upon departure. The cabin and its location are both excellent. Being an urban city dog, it was fun to stay in a wood cabin and enjoy the adventure of mountain life and the fresh mountain air. 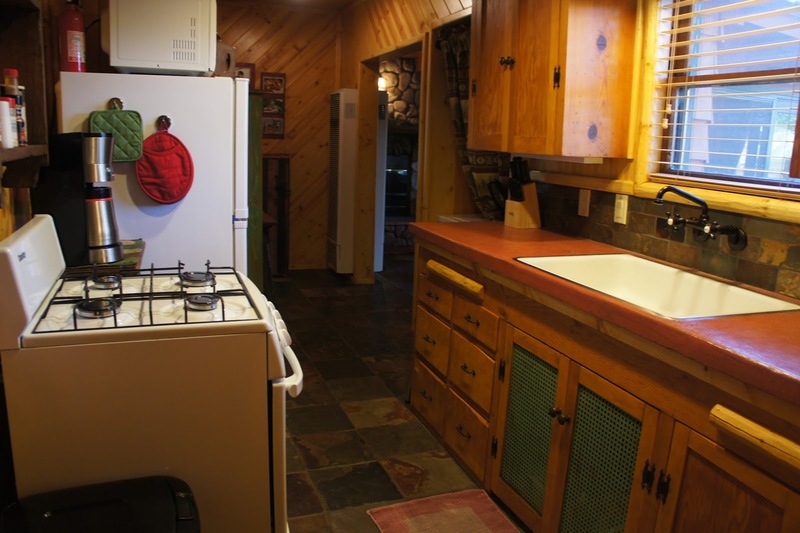 We rented our cabin through VRBO; it can be found directly at this link for more information and rental details. The cabin also had a great backyard that was fully enclosed with a wood privacy fence for me to safely play in. The backyard was even full of huge pine cones for me to collect. Wow! The backyard also included a nice table for dining with an umbrella, a grill, spa, ping pong table, and a tent. While known for its winter ski areas, spring, summer, and fall are great times to visit Big Bear Lake - because when you are 7,000 feet closer to the sun, the stress just melts off. I give this vacation a high-paw! Be sure to follow me on my many adventures around California and the rest of the country. June 2, 2015 and I am 6 years old. 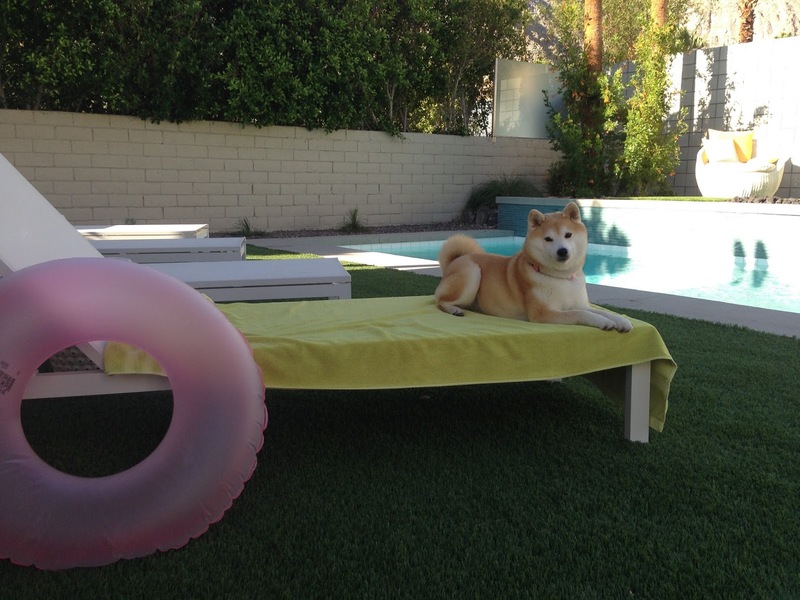 Living life as a Southern California shiba definitely has its perks. While I love to travel all over the US, there are so many fun adventures to have right here in California. 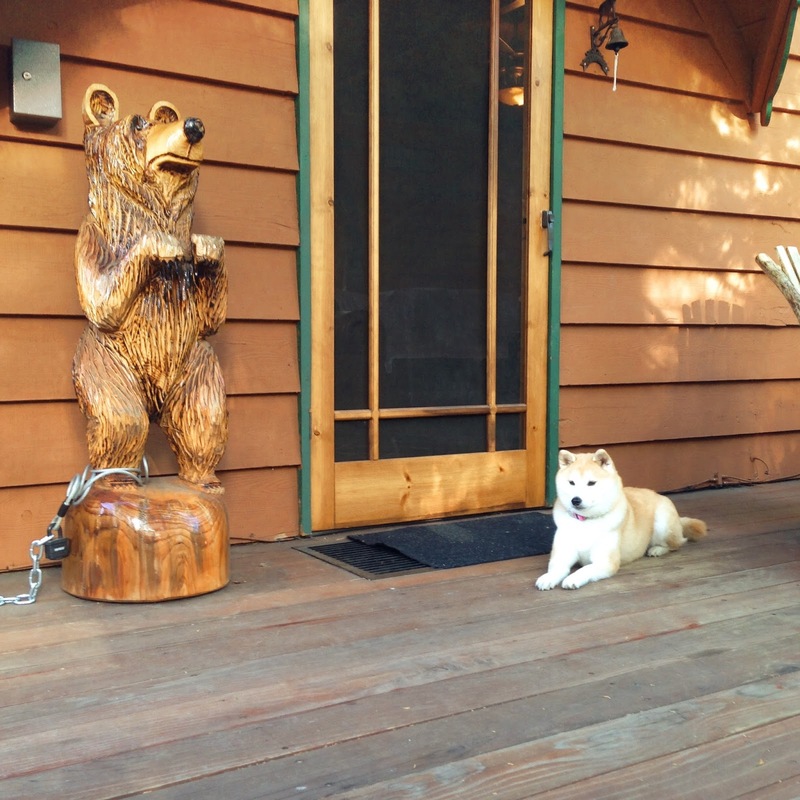 For my birthday surprise, my people took me to Big Bear Lake to spend the long weekend in my very own cabin. Be sure to check the next blog post for an update on that special cabin adventure. Now that I am 6 years old, I have been weighing in between 18-19 lbs of pure soft fluffiness. Life is good. 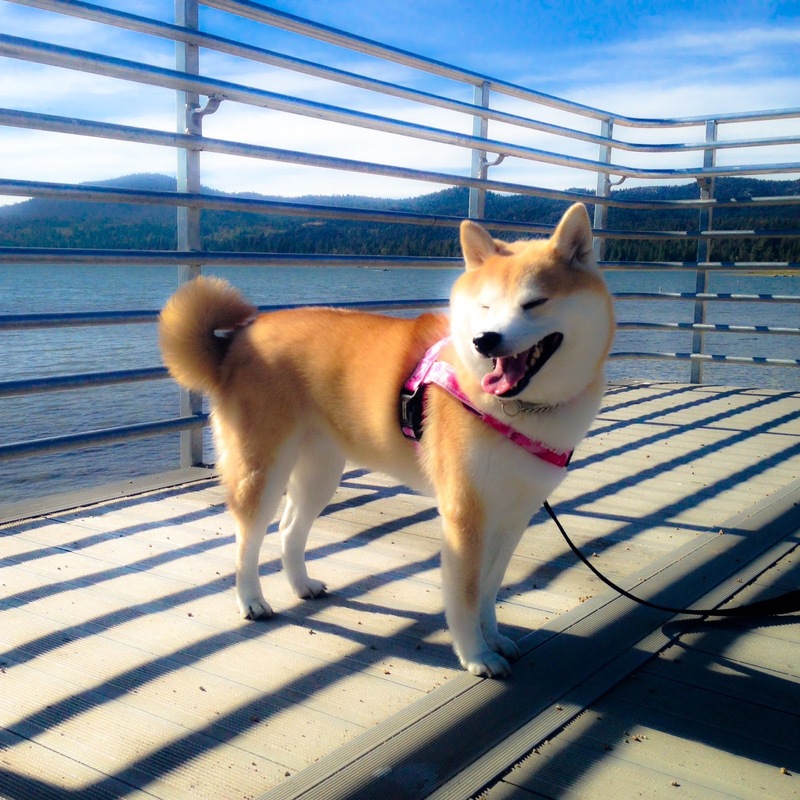 100% shiba approved. 2014 was a great year all around. Christmas 2014 found me darting through airports again to visit friends and family on the east coast. At this point, I've now logged 29 flights since I joined my pack in November 2009. The east coast was very cold and there was even some snow for me to play in again. High paw! As 2015 begins, I am looking forward to sharing new adventures with all of my followers. But for now, now that I am back in San Diego, I need to take a quick nap so I'm ready for 2015! Hotel Reviews: L'Auberge de Sedona is a luxury resort located along the banks of Oak Creek in Sedona, Arizona. The hotel features 87 guest rooms and cottages nestled around 11 acres of beautifully landscaped grounds. The hotel has a variety of unique cottages which make for a private and luxurious stay. The hotel is dog friendly and charges a $35 per night fee for dog under 50 lbs and a $50 per night fee for dogs over 50 lbs. For this stay, we stayed in a private, freestanding one-bedroom cottage called the Vista Suite. The Vista Suite cottages are located higher up on the hillside and have truly spectacular views of Sedona's red rocks. The units feature a living room with a gas fireplace, separate bedroom with a king sized bed, and bathroom with an outdoor shower cedar shower. 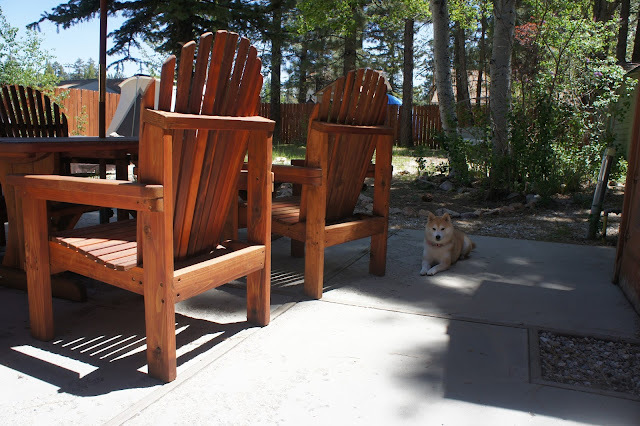 The expansive redwood deck on the cottage was fully enclosed (no steps going to the ground) and appointed with comfy patio furniture for taking in the mountain views. Our unit was cottage #98 and it was the end cottage which gave us plenty of privacy. As the hotel is spread out, at times, you may need to call for a golf cart to pick you up. I highly recommend this for when you need a lift. There is much to do around the hotel, including walking along the banks of Oak Creek or taking a short drive to do some magnificent hiking in Sedona. During this stay, I hiked up to Devil's Bridge. The hike up to the top of Devil's Bridge includes very steep, step-like, rock climbing and isn't recommended for most dogs. However, for very agile dogs like me, the hike to the top is truly amazing. Be sure to wear a very solid harness if you opt to do this hike. Click link for more information on Devil's Bridge Trail. Wow. Much Wow. Throughout the year, I like to travel to visit friends and family. And since my friends and family are all over the United States, that means I sometimes need to fly to get in all the fun. When I was a little puppy (not quite 6 months old and not quite 8 lbs), my people started flying with me. Now that I'm five years old, I've logged 25 airplane flights and a gazillion miles in the sky. I always fly in cabin at my people's feet and mostly just sleep during the flights. My people keep a constant watch on me, making sure I am okay and get sips of water along the way. I travel in a custom made Celltei bag: Celltei link. For this trip, my people tried out a new Adaptil D.A.P. 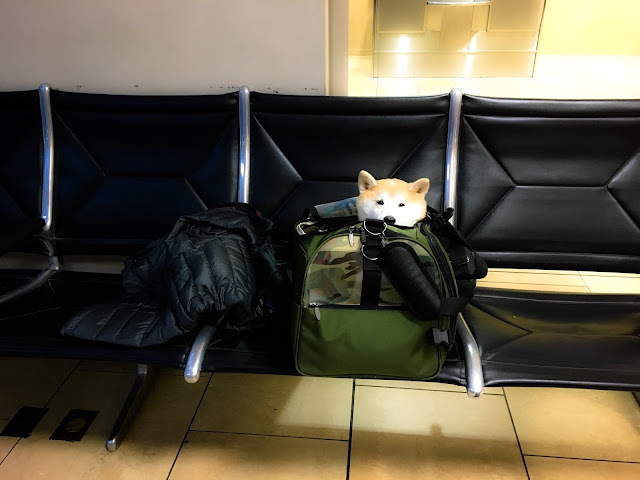 (dog appeasing pheremone) collar on me to see if it would keep me chill during all the loud noises and general commotion of travel. The disposable collars are supposed to last 4 weeks. 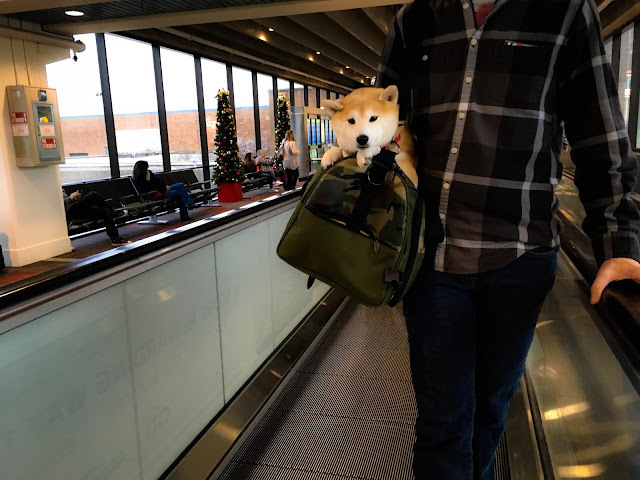 Overall we didn't notice any difference - good or bad - but it seems like a potential option to try if you are worried about how your dog will handle a plane flight. You can check out additional details here: Adaptil link. Even though the west coast is my super happy home, I have a great time on the east coast too. They have great trees and grass and tons of bugs to chase. During the summer months, I usually help with the yard work which is especially fun, because I don't have my own yard back in San Diego. Have you heard about the annual Shiba Prom? Shiba Prom is a volunteer nonprofit organization of Shiba Inu owners and enthusiasts united together for charitable purposes. 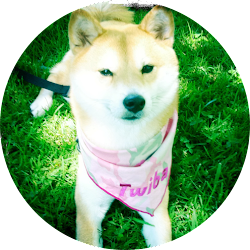 Started in 2012, a group of passionate people teamed up to develop the first Shiba Prom which took place as a virtual fund raiser in June 2012. 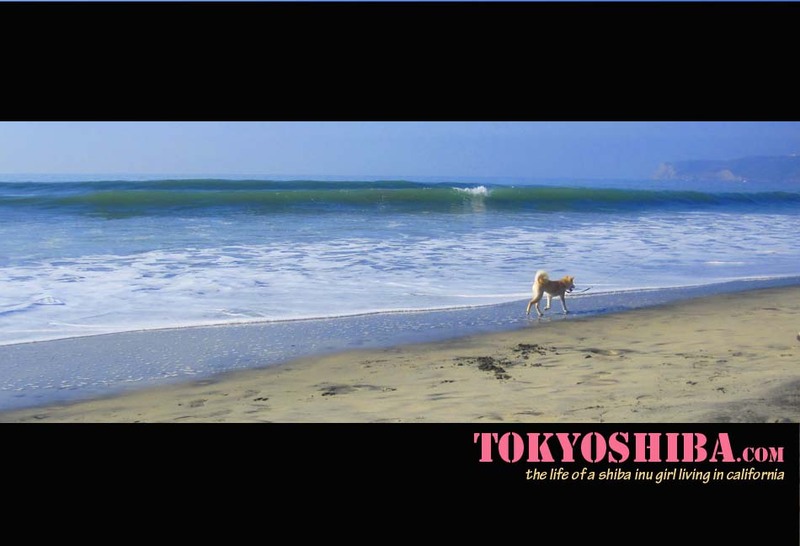 Their mission is focused on ending the unnecessary suffering of Shiba Inus (and mixes) that have been abandoned, neglected, or denied adequate medical care due to lack of funding. The pilot year was an amazing success with nearly 200 animals (and their people) participating online to raise over $4,000 for five animal rescues. Fast forward to June 28, 2014, and the third Shiba Prom had over 285 attendees (meowies can attend too). The event was an 8 hour online party that featured dancing, fun contests, gift baskets, cool prom swag, and voting for the Prom King and Queen. A team of 3 different DJs played the rockin tunes on the dance floor throughout the day/night- David Bowie the dog, DJ Zeus Ruper, and the Evil Firefox Flygirls. Building off of the momentum and success of the first two years, the 2014 Shiba Prom hit truly unprecedented success with over $42,000 raised in net proceeds. Total BOW WOW WOW! While you don't need a "date" to attend the prom, each year I've attended with my bestie Prince Zuko. If you aren't following him yet, be sure to check him out. 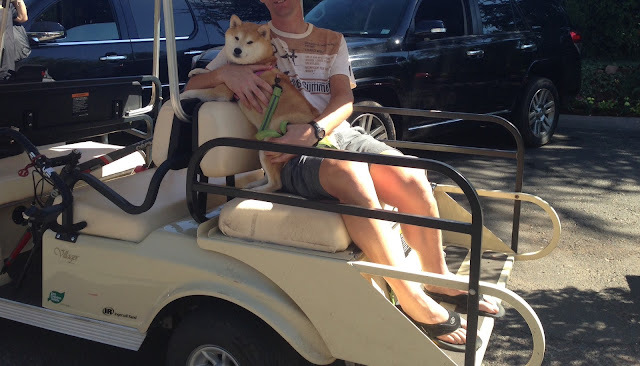 Not only is he a cool California shiba (like me) but he serves as the official barktender at the prom. Don't know what I mean? Well, you better stay tuned for the 2015 Prom to find out what it's all about. Oh, and about that dancing I'm known for? Yep, the pawsome Prom Committee recognized my fancy foot work and dance moves again in 2014 with the "Booty Pop" award. *Paws in the air* I hope you join next year because it sure feels good to help so many shibas! 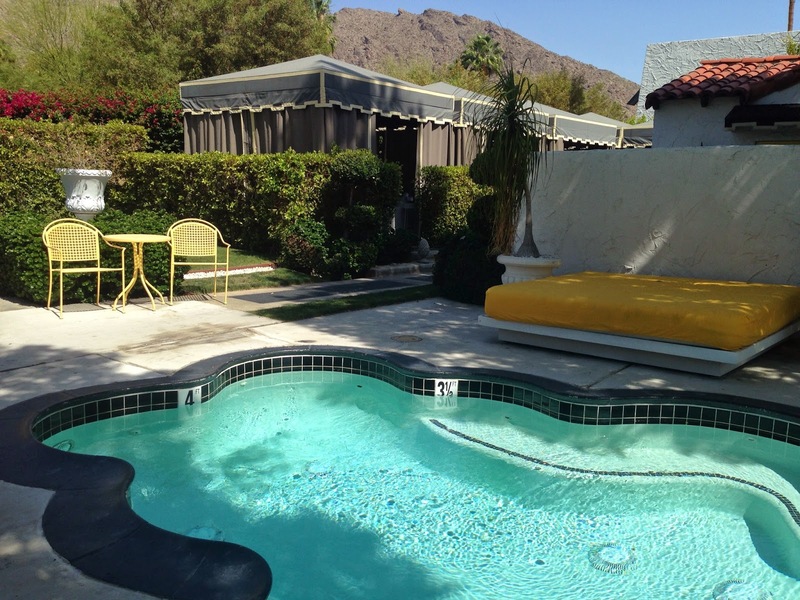 Hotel Reviews: Throughout the year we visit the lovely Viceroy Hotel and Resort, Palm Springs, California for a relaxing weekend in one of their villas (the resort's free standing one or two bedroom private cottages). I've done quite a few reviews about the Viceroy (see links at bottom). The Viceroy Palm Springs is located at 415 South Belardo Drive which is just one block off of the happening South Palm Canyon Drive. 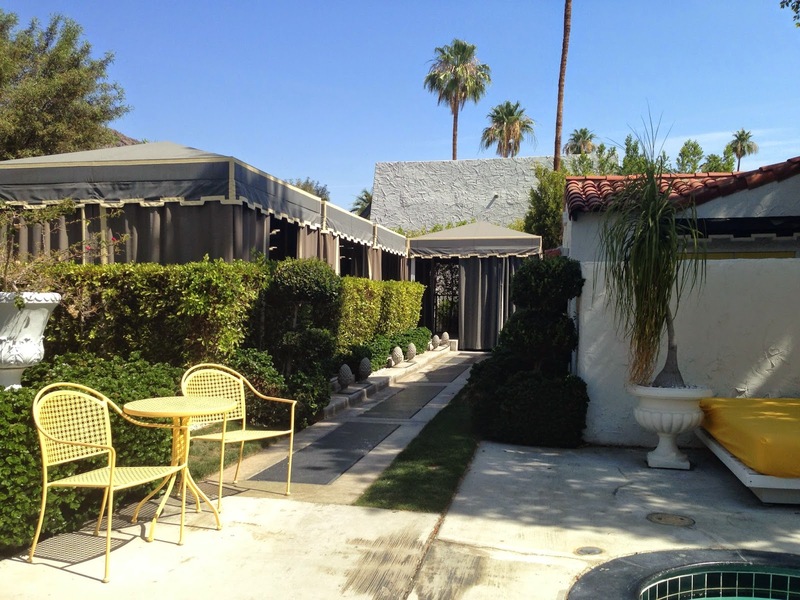 The villas are located around the property on either the Regency Courtyard or the Fountain Courtyard side. 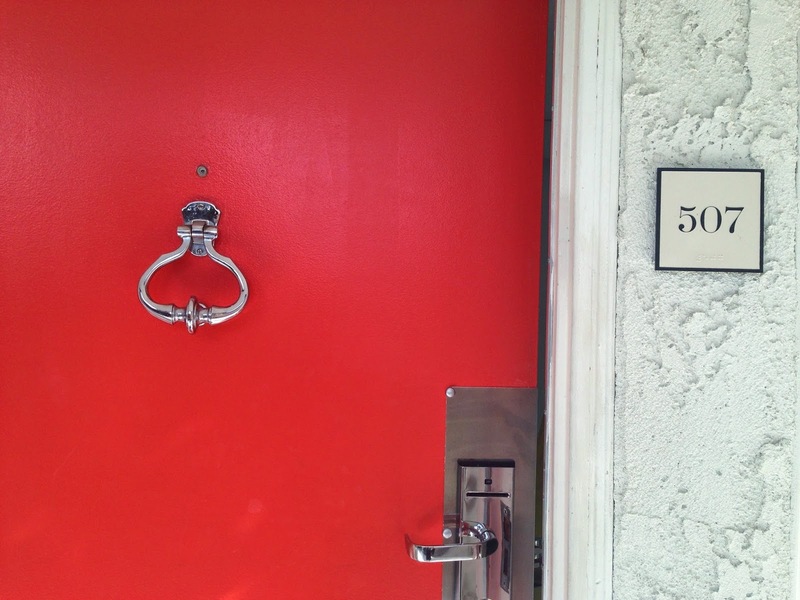 For this visit, we stayed in the Dorrington Villa #507 which is a one bedroom villa located on the Fountain Courtyard side. Each villa features a living room (with fireplace), dining room, fully equipped kitchen, one or two bedrooms, one or two bathrooms, and private patio. The layouts vary by unit and so do their private outdoor areas. 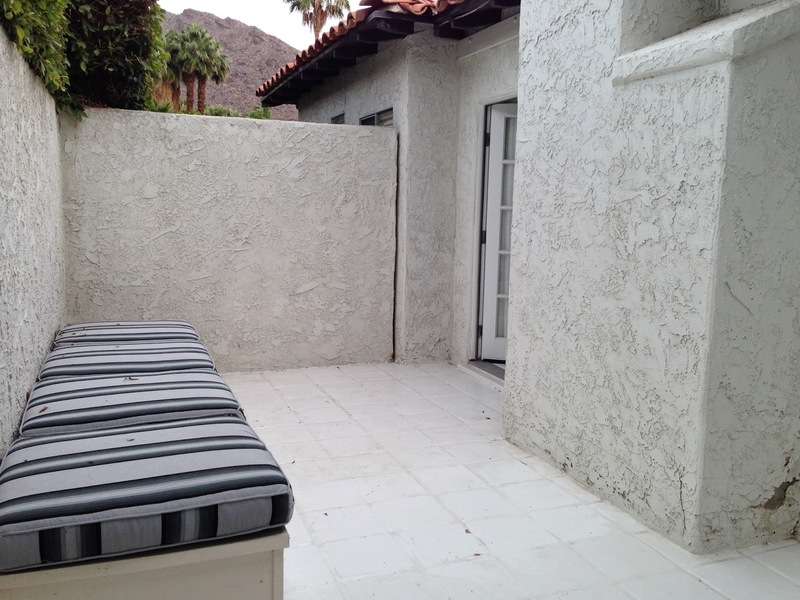 For instance, #507 had a small narrow tile patio; whereas, #504 and #506 have a tiled patio area plus a grassy yard- perfect for dogs! The Viceroy charges a $100 nonrefundable pet fee and allows pets under 40 lbs and definitely makes pets feel very welcome during their stay. 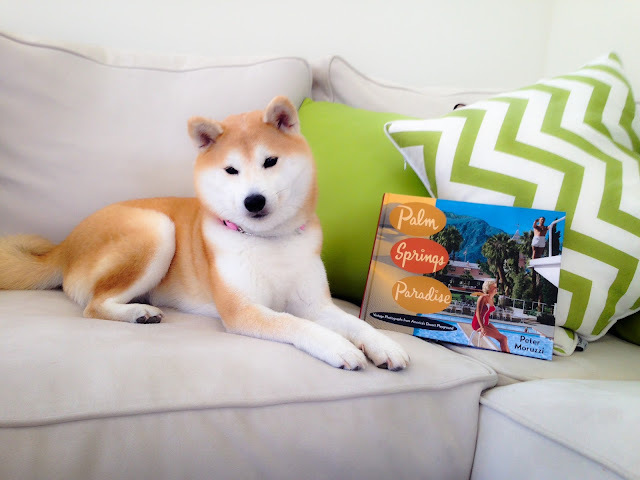 Pets are even welcome to dine on the patio at Citron restaurant and relax poolside.